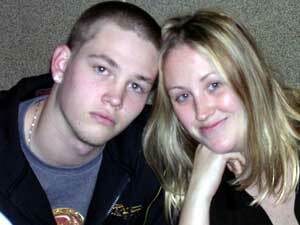 Emily Savage and Jake Savage, daughter and son of Bill and Donna Savage of Abqaiq, will be graduating in May 2005. Emily is graduating from Colorado State University, Pueblo, Colorado as an honor graduate in History/Education. Emily is a member of Phi Alpha Theta. Jake is a December graduate of Air Academy High School in Colorado Springs, Colorado. Jake recently attended the National Young Leader’s Conference in Washington, D.C. He is currently attending Pike’s Peak Community College in Colorado Springs, Colorado.